What is the best time to visit Manali? The predominant time to visit Manali is from October to February, if you want to see snowfall. You can also visit from March to June. This is an ideal time for tourists to enjoy snow in Solang and Rohtang. Which are the top 5 must visit places in Manali? For scenic beauty and soothing experience, one must visit Beas River. Jogini waterfall, Solang valley and Rohtang Pass are famous for its snowfalls. Club House offers many activities. How can I get attractive discounts on hotels in Manali? It is best to plan your vacation in advance to get attractive discounts if you start planning. Browse through online websites, such as Cleartrip to know more about exciting offers. 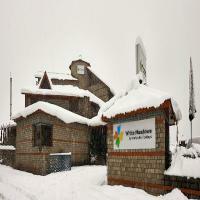 Compare the hotels available in Manali to grab the best discounts available. Can unmarried couples stay in hotels in Manali? Yes, many hotels in Manali allow unmarried couples, but one must carry their identity proof while checking-in. How can I find hotels near Rohtang Pass? You can easily find hotels near Rohtang Pass on Cleartrip. You just need to enter Rohtang Pass, Manali in the Where field option on the Hotels Page . The lists of hotels near Rohtang Pass will be displayed in the search results and you can book the hotel as per your requirement. How do I book hotels in Manali near Solang Valley? 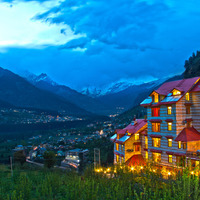 Go to the Cleartrip website Hotels Page and search for hotels near “Solang Valley, Manali” in the Where location filter. 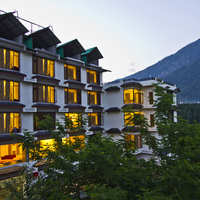 Lists of hotels near Solang Valley will be displayed and you can choose as per your choice and budget. Do Manali hotels offer wheelchair facility? Yes, few hotels provide wheelchair facility. To avoid any inconvenience, it is best to check with the hotel in advance. What can I buy from Manali? You can buy Tibetan and Himalayan Handicrafts, woolen cloths, Shawls, Prayers Wheels, Kullu Caps, Thangkas, and more. Can you tell me which are the popular Manali bars and cafes? Johnson café, Johnson’s restaurant, Lazy dog, Café 1947 Khyber and Chopsticks see a lot of visitors on a daily basis. 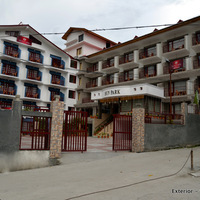 Drifters Inn is the most popular night club in Manali. Can you list the top spiritual places in Manali? Hadimba temple, Manu temple, Maa Sharvari temple and Arjun Gufa are the top spiritual places that every tourist must visit while in Manali. What are the famous sightseeing spots in Manali? Rohtang Pass, Solang Valley, Beas River, Jogni Waterfalls, Bhrigu Lake, Kasol, and Malana are known for breathtaking views. What are some must do things in Manali? Trekking and paragliding are the must do activities in Manali. Skiing is also famous and the most common activity in Manali. Suggest a few restaurants that open till late night in Manali. Johnson's Restaurant, Chopsticks, The Lazy Dog, Khyber, Café 1947, Drifters Inn, Casa Bella Vista are quite popular and are open till 11 pm. What activities and experiences can I enjoy in Manali? Waterfall tours, biking tours, fishing, angling, ATV bike riding, trekking, rock climbing, camping, paragliding are a few things that you can enjoy while in Manali. Carrying out these activities on the rocky terrains and snowy mountains is definitely worth an experience. How to book a room for international guests near Solang valley at Manali? If you are planning to book a room for international guests at Manali, then browse through the luxury hotels on Cleartrip. You can choose that best among the plenty of options. 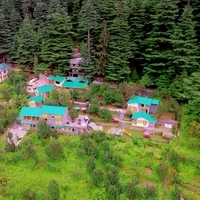 Which are some good homestays in Manali? 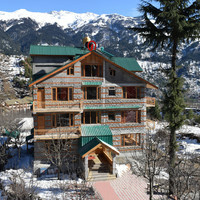 There are not many homestay options when it comes to Manali. However, you can go for Vashisht Home Stay & Café which offer services like internet, restaurant, and room service to its guests. From where can I book a good resort for a day outing in Manali? You can find a good resort for a day outing on Cleartrip. It is definitely a good way to spend time with family and friends. 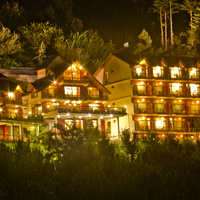 Can you name some 5-star hotels in Manali? 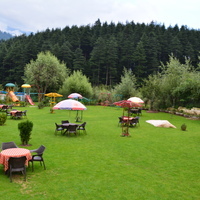 ManuAllaya is considered as the best 5-star hotel in Manali. 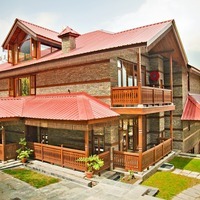 LaRiSa Resort and Shivadya Resort & Spa are a few other 5-star hotels in Manali . Can you list some luxury hotels in north Manali? Manu Allaya Resort And Spa, The Holiday Resorts Cottages & Spa, Johnson Lodge & Spa, The Manali Inn are some luxury hotels in north Manali. 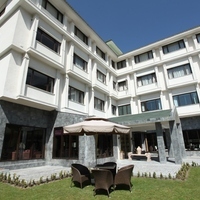 Can you name some luxury hotels near Aleo New in Manali? 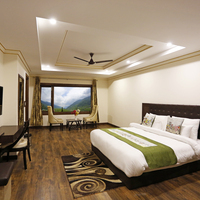 Manali Grand, Honeymoon Inn Manali, Hotel Sun Park Resort, Hotel Park Residency, Himalayan Vista Cottage are some luxury hotels near Bahang in Manali. 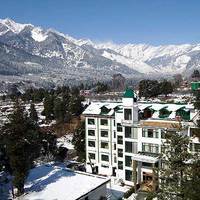 What are the top hotels to stay at Manali? 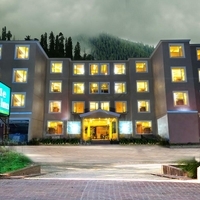 Manali has several luxury 4 and 5-star hotels for a luxurious stay. They offer all facilities like room service, wi-fi, parking, bar and others. 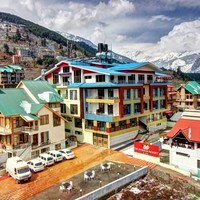 Visit Cleartrip to see the list of top hotels to stay at Manali. When should one visit Rohtang pass and Solang valley? Best time to visit Rohtang Pass is May-June and October-December. Best time to visit Solang valley is December-February. They are just 13 km away from each other. Where can I enjoy best dinner buffets in Manali? Food in Manali is delicious. Restaurants such as Himalyan Dhaba, Mahalaxmi Bakers, the Corner House and Symphony Restaurant offer the best dinner buffets. What are top places of interest in Manali? Manali places of interest are Hadimba Temple, Museum of Himachal Culture and Folk Art, Tibetan Monasteries,Manu Temple, Club House, Vashisht Hot Water Springs, Jogini Falls, Solang Valley, etc. Can you tell me about some best hotels in Manali? 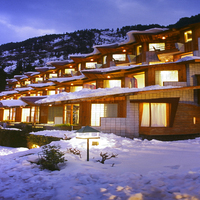 There are many hotels in Manali as it is a popular tourist place. 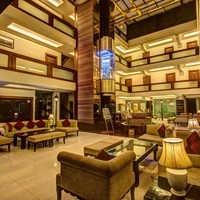 You can find 3-star hotels in Manali, 4-star hotels in Manali, 5-star hotels in Manali along with resorts, villas and boutique hotels providing all amenities. Check Cleartrip for complete listing. Nightlife in Manali is a treat for the tourists. Chelsea Club, Tapas Bar and Restaurant, Soma Café and Zing Zang Bar and Restaurant are some of the popular night places in Manali. 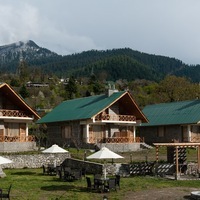 Are there any villas at Manali? There are limited villas in Manali and a few among them are Ramgarh Heritage Villa, Baragarh Villa, Westwood Villa and Golden Moments Villa. Most of the villas are located near the valleys and offer a breathtakingly beautiful view. Is parking facility available at Manali hotels? 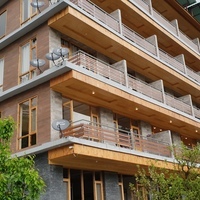 Yes, parking facilities are readily available at Manali hotels. Though there is no problem related to finding a spot to park vehicles but even then, it is always advisable to check with the hotels before taking a call on booking the hotel. Do hotels in Manali offer bar facility? 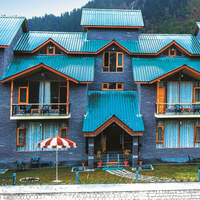 Many Manali hotels have bar facility , but it is best to check before booking the hotel. Golden Tulip, Mango Hotels, Hotel Lifestyle and Club Mahindra resort are some of the hotels that provide bar facility. Where can I go for weekend getaways from Manali? From Manali, one can go to places like Alchi, Chandigarh, Delhi, Chopta, Dehradun, Dalhousie, Kulu, Leh, Pangong, etc for weekend getaway.